The exclusive Kallista distributor in the mid-hudson Valley. We hope you enjoy this sneak peek of the Poughkeepsie Showroom. 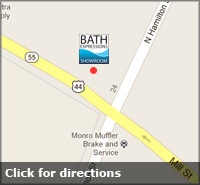 When you are ready, come on in for a more in-depth look around with any of our knowledgeable associates!